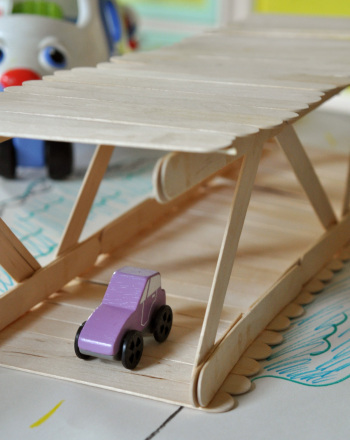 Young engineers will build a rocket ship, a bridge, and more with these fun construction activities. 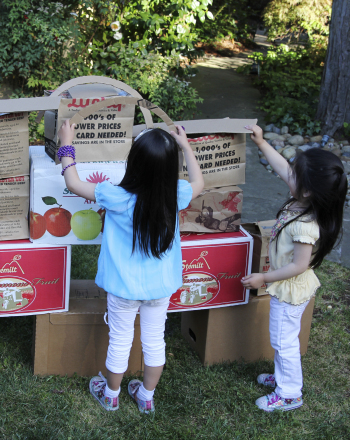 Try these projects on a summer's day when you want to practise STEM skills or just have fun! These activities are part of the Summer Learning Adventures. Click on an item in the set below to see more info. 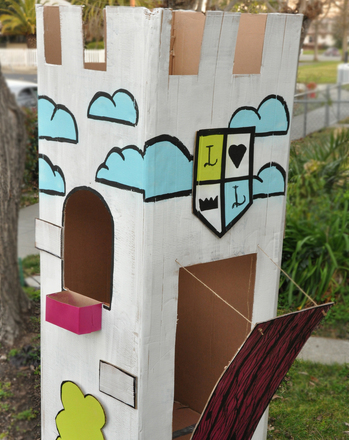 This week, DIY campers will be constructing cardboard rocket ships, impressive forts, and marshmallow structures. Not only are these building projects a great way for kids to spend a summer afternoon, they also encourage kids to build maths and science skills and practise constructive problem solving. 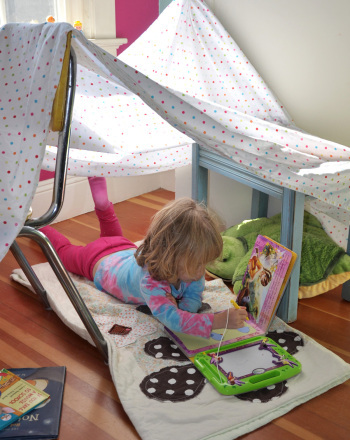 And best of all—kids are left with DIY toys that they can use all summer! Return to Summer Learning Adventures. 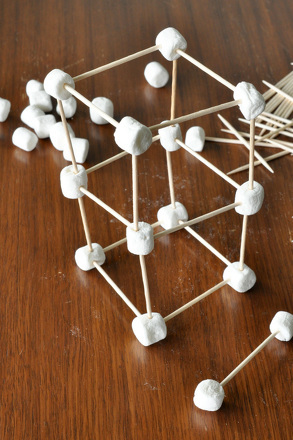 Kids who love to build will enjoy these engineering-focused activities! 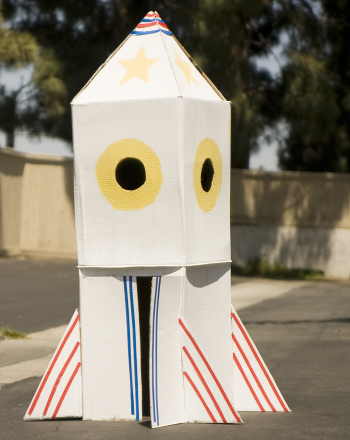 Create a cardboard rocket, a popsicle stick bridge, and more with these DIY projects. 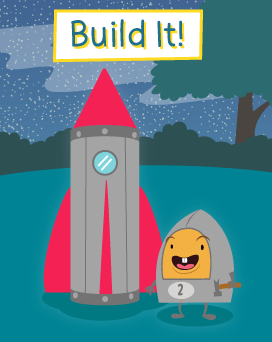 Building a rocket ship is a great way for kids to learn about measuring and construction. It'll fuel their creative side too! 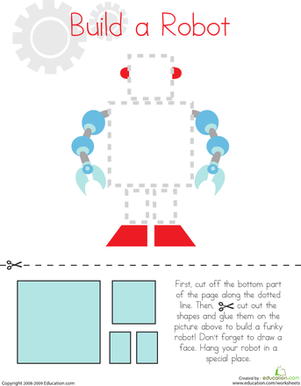 Kids use their cutting skills to build a funky robot on this prekindergarten worksheet. This worksheet helps build fine motor skills and recognition of shapes. This activity encourages children to sculpt in free form. The only rule is that they have to build upwards. 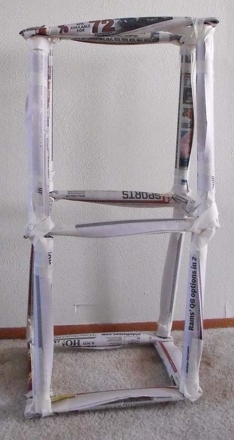 Let your kid try his hand at engineering as he builds and tests two different structures made out of rolled newspaper. Which one is the strongest? Build a paper model of one of the most famous clocks in the world, Big Ben! This paper craft requires some tricky scissor-work and patience. Invite your kindergartener or first grader to make giant, soft building blocks. He'll have a blast constructing, throwing, stacking, and even falling on them!